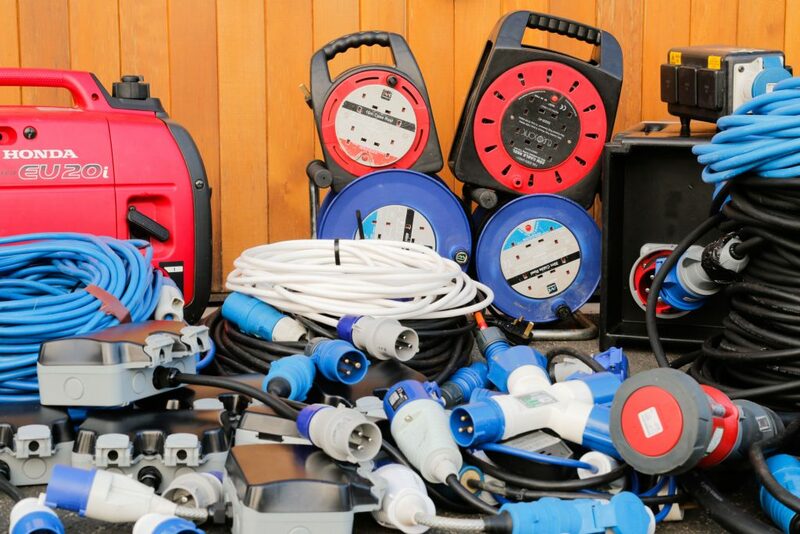 Whether you’re planning a wedding at the end of your garden or you’re throwing a major music event in a forrest in the middle of nowhere, decisions you make about how to manage the power could affect the way your project plays out. We’ve got what you need to make sure everything runs smoothly on the day. 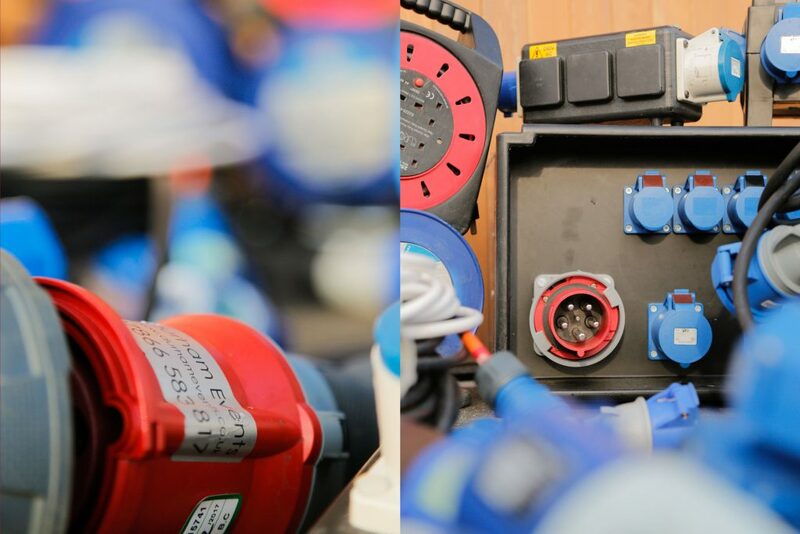 Making the right choices with power management can seem daunting, but rest assured that we have over 1000 meters of high quality PAT tested cables, and we will ensure that you choose the right one for whatever the job. 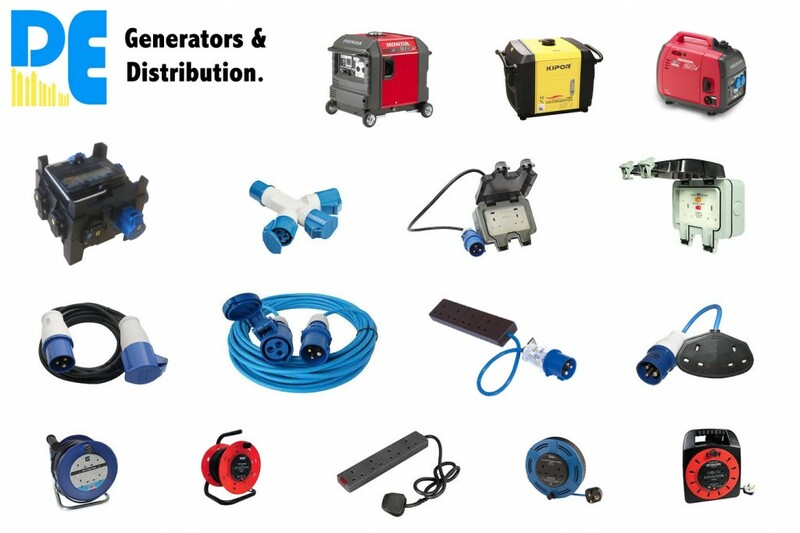 Over 1000 meters of Power Distribution Options. Although based in the North East we can help if you are looking for electricity distribution or power management solutions both in the North East England or further afield. If you’re running a small outdoor event, we also have 3 inverter generators available to hire- and gazebo’s to cover them! We have a long history of producing events in challenging environments, and it is in no small part due to our investment in high quality equipment built for the task. Durham Events electricity distribution solutions. Here are the options and the prices; number of each item in stock listed on the left, price of each individual item on the right. 63a distro & distro cables from Durham Events. 1 x 25m 3 x 2.5mm MALE 16amp to weatherproof single 13 amp socket. 1 x 40m 13a 1.5mm cable masterplug extension on reel with 4 socket outlets. 1 x 30m 13a 1.5mm cable masterplug extension on reel with 4 socket outlets. 1 x 25m 13a extension with 4 sockets. Many other various short 13amp extensions. If what you’re looking for does not appear in the list above then give us a call as we are often picking up new equipment for the challenges we face on a day to day basis! Price on application for the any and or all of the above cables. All our equipment is PAT & safety tested annually.